Winter might mean fewer wine outings to Washington wine country for some but that doesn’t mean life stands still in the wineries and vineyards. 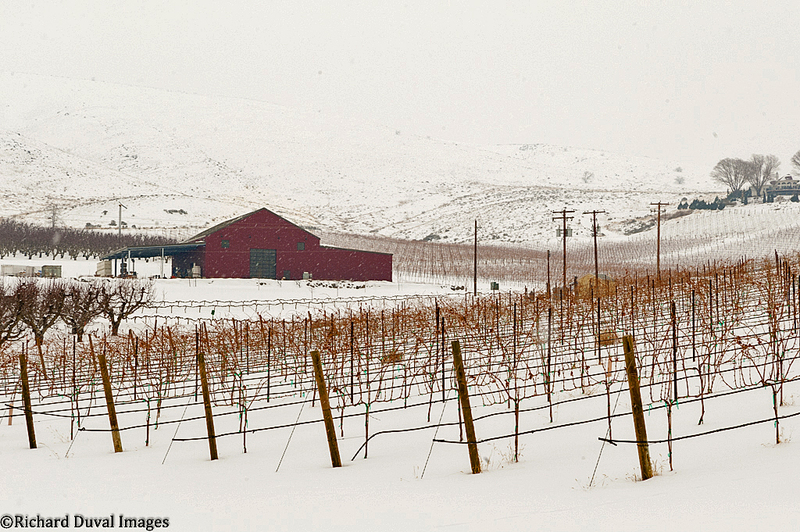 Snow can actually help ensure healthy grape vines in the spring, acting as an insulator against freezing temperatures. 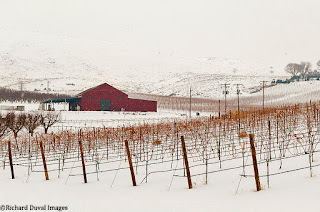 It also makes for a striking photograph, noted contributing photographer Richard Duval, who ventured to the scenic Owen Roe wine estate in Wapato on a windy, snowy day. 2. Click on ‘Wine & Ratings’ in the upper left corner (or just go here). 3. Scroll down to where it says ‘Buying Guide’ on the left. Click on ‘Search.’ This will show you all of the reviews in the Wine Enthusiast database. The following article appeared in the December 31, 2017 issue of Wine Enthusiast magazine. 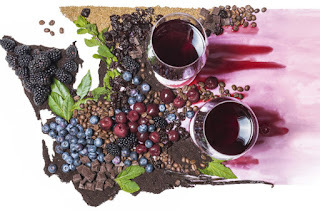 Washington State wine is perhaps best known for its diversity. There are more than 80 grape varieties planted here, but one variety seems to be separating itself from the crowd: Cabernet Sauvignon.